​Our spring is building up to a busy summer in American Graduate. Here's what has happened in the past month. On April 1, Stay Tuned explored the issue of Summer Melt, which disproportionately affects low-income and first-generation college students. 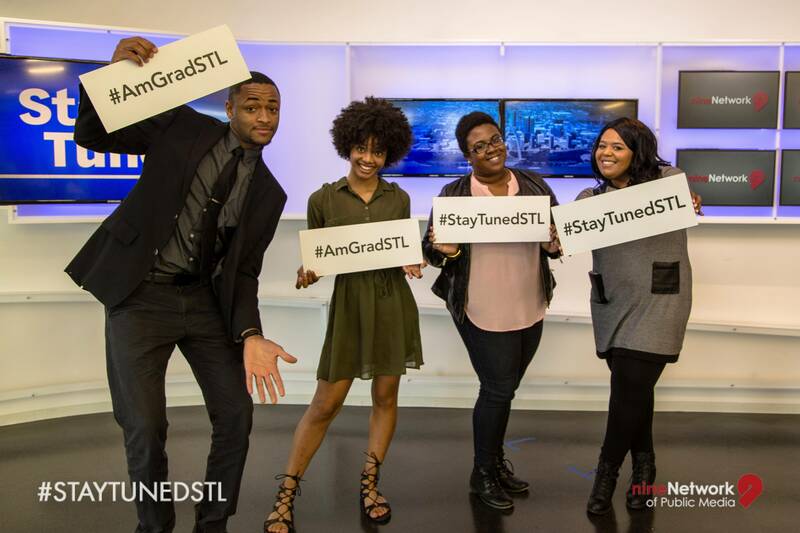 Guests from St. Louis Graduates, College Bound, UMSL, and the High School to College Center talked about reasons students who intend to go to college after high school graduation ultimately fail to enroll in the fall. On April 13, SciTech Now featured the St. Louis Science Center’s Youth Exploring Science (YES) program, which provides low-income teens with an opportunity to engage in inquiry-based STEM projects while also enhancing their interpersonal, communication, and other “soft” skills. YES students participate in the program for four full years – they start as freshmen and continue until they graduate high school – and are exposed to a variety of STEM career pathways while gaining real-world experience that prepares them to enter the workforce. Nine Network is seeking youth ages 14-20 to serve on a Youth Advisory Board that will inform our on-air and online content. Youth Advisory Board members will also have an opportunity to share their stories on our American Graduate website.